In this paper, fabrication, structure and nonlinear optical properties of BaTiO3 thin films with embedded metal nanoparticles (M:BaTiO3) have been reviewed in details. The growth behaviors are investigated by reflection high energy electron diffraction (RHEED).X-ray diffraction (XRD) and high resolution transmission electron microscopy (HRTEM) present the crystal structure of the BaTiO3 matrix and metal nanoparticles. The optical properties of M: BaTiO3 films are studied by Raman spectra, Absorption and photoluminescence spectra. 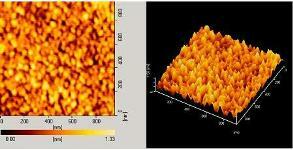 Especially, the third order nonlinear optical properties are measured using Z-scan method.